Where Google is involved, things get done. A lot of folks wondered how Goolge+ would grow after its launch. It was never really a question of “if” Google+ would flourish though. Global Web Index released a report showing a change in the usage from “localized” social platforms to global social networks like Facebook, Google+ and Twitter. Twitter, while surpassed by Google+ in terms of share of users, had the strongest growth at 40% across 31 monitored markets (which also represent about 90% of the world’s internet users). 21% of the global internet users use Twitter. A whopping 51% use Facebook, which is a large lead over Google+ at 25%. Twitter is tied with YouTube in the third position. That works out to about 343 million active users of Google+, and a little under 300 million active users for Twitter and YouTube. Facebook has been able to combat what GWI called “Facebook fatigue” and saturation and achieve about 33% growth. Based on the markets surveyed and estimates of other markets not included in their report, GWI believes that Facebook’s claims of 1 billion users is more or less on target. The real winner in all this is Google+, who grew 27% in its own right. When coupled with YouTube, Google’s integrated services have proven to have wide appeal and it also vindicates Google’s model of combined products. With winners must come losers, and those were the smaller, more local social networks that serve certain countries, like Me2Day (South Korea) and StudioViz (Germany) saw double-digit declines in active users. Of particular interest though, is the decline with several networks in China. Despite their growth over the past few years, new rules in China contributed to the contraction of these networks like Tencent Weibo, Sina Weibo and others. There have been growing pushes in China to require real names and phone numbers. In addition, people in China have been adopting the use of blogs and forums which provides a perception of a little more privacy. Finally, there is mobile, the apps available for mobile use give a notable advantage to the larger global social networks like Facebook, Google+ and Twitter, each of whom have excellent mobile applications, particularly for iOS and Android devices. If you have not checked it out yet, visit and join PhoneArena.com on its Google+ page. We would love to see and hear from you. Facebook has managed to break past "Facebook fatigue" and keep growing, Google+, the new kid on the block is doing just fine. Based on surveying that covers about 90% of the world's internet users, GWI believes Facebook's claims of 1 billion users. The big networks grew at the expense of smaller, more local services. this is really questionable! who the hell uses G+, but on contrary i use it, but its a desert! i ask my friends if they have G+ so that i could do hangout with them (since skype group calls are paid), they actually wonder what is that? but not really surprise that G+ is 2nd since most people now has android and android is very affordable and most people can afford (But im shock that a security guard has an iPhone 4S here in my place!) and google integrate G+ on android, so its not really a complete shocker that it will grow! the real question is, how many are active users? those are just users right but not an active one. and where's instagram? i still think twitter is more popular that G+! You sound like Smiggle!! Talking to yourself...questioning and answering it on your own. 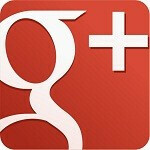 It may not be funny for you but for us it is... Google + is nice, different and fun. I never get lost there... But i know it will never surpass Facebook. read it again, it is active user. Just because your friend don't use it it doesnt mean no one use it. Nobody wonders what Google Plus is they already know they just choose not to use it. I use all three of them and like them all for different reasons. Of course people who choose to live the ''I don't want you to know who i really am kind of life'' will shy away from these networks cause they are serious Internet cowards and trolls...Either way people will be people and social media sites all of them will continue to grow. Well Google basically forces you into one if you have a Gmail/android device. I have one, but I just have it because Google made me get it. I don't think it has happen at all. Twitter is very popular and many people are using it. No one ever mentions G+ I think this is somewhat misleading. Just get a Google+ account...and browse around if you dont believe it. More n more I see articles based on Google + posts. What do you think most, if not all the Google employees use? Android app makers? Or ppl wanting to get the inside scoop on Google related things? Only because Google forced integration of G+ into the Play Store system. If that integration didnt exist, developers would be using Twitter and FB more. There's no hard proof saying G+ has overcome twitter and Facebook. There is no forced integration. You have the option of using. I actually deleted my Facebook a long time and have been using G+ exclusively. Its a much better ecosystem and environment. Mx, the hard proof is the number of active users. You might have missed the giant graph with the numbers breakdown. There's a few big graphs right on the article page showing active social network users... Key word, active. What you're implying is that Google forced G+ onto consumers, and in turn most people just made an account and forgot about it. Those graphs prove you wrong. The graphs show that there are about 45 million more *active* users on G+ than Twitter, not just dead accounts. You dont have to rate apps you use or buy. Its forced if you wanna rate apps. I dont rate apps anymore. I might start again now tho. Been visting Google+ and its gotten more interesting. Whats the difference between that and being forced to sign up for a website to leave a comment? . Didnt you have to sign up here to leave a comment.....? There are very few places where you dont have to sign up. Some are making you use FB too. NFL.com makes you use FB, Yahoo, Hotmail or AOL. Any problems with that, or is that fine? I see FB logins now all over the place....where you can use that to login instead of creating a new account at a website. And it has other topics, posts non Google related going on. Its nice, just try it. If you like Facebook, you will like Google+. How is it misleading? Because you don't use it? Should the world revolve around you for it to make sense? Shouldn't be surprised coming from a staunch ifan..
this is also the thing that drive me away. Social network is meant to be social friendly, and accept everyone opinion. Not to be a bully groupie and bash the minority. Just curious....where are you going on there? I just popped in and saw a post about liking Win 7 better than Win 8. No MS hate....just hate for the newer Microsoft OS..
Thats the thing....I saw what I saw clicking on Explore. I just did again....and its all over the place....not an Android vs the world type thing. I think its like any forum section....certain threads will have certain posts. Ones I saw Windows related was all talk about Windows. One WP related thread...one guy asked a question based on the topic title...and it went from there...with a back n forth thats similar to PA....just more civil. Sorry Wendy, I just don't think people avoid G+ because of any bashing going on. They avoid it because of brand loyalty. I've invited a few people to download Whatsapp, Kik, Oovoo, Tango, Qik, and G+ so that we could chat, call and video call all together on different platforms. I've get nothing but pushback from ios users because they think it's simpler to just use the built in apps, which as you know are proprietary to iOS ONLY. I've gotten a few to try different things but the Android users are the most willing to try new things. There is a lot of bashing going on from all sides, but if that's all it takes to stop your friends from learning or discovering something new, then it's your friends that need to change what they're doing. The world won't change to suit them. Teach them to broaden their minds and maybe they'll be as tech savvy as you someday. Very nicely said. Open source vs closed, which would you think people will gravitate towards with an open mind of course? Excactly. I remember when Android was still new. So much bashing from iOS, iPhone fanboys on different sites. It didnt stop me from posting in comment sections... Now here we are....with just as many Android fanboys as iPhone ones. WP fanboys are showing up more now. Ppl thought no one was gonna leave Myspace after Facebook opened it doors more. Myspace is hanging on by a thread now. Now Facebook is getting too much like Myspace....alot going on on the pages. Its still not as bad...but Facebook forgot many ppl liked it because it was such a clean space, not cluttered. Yes, if you didn't have an iPhone...you were a loser. But it only started when the Motorola Droid came out. I guess they didn't consider the G1 much of a threat, but it was a good device. But the mere mention of a Droid made many iOS fans instantly, irate for some reason.